Scan System Three modes of operation. 6 – stored in the Cloud using your iPhone or iPadWhen connected to a PC, additional black and white binary files are available. Scan software Scan formats are viewable using native Windows Apps. A small Windows program is supplied to receive live or stored scan files from the scanner. App also auto-displays PDF files (requires Adobe Acrobat or similar). This is not required for scan to USB stick operation. DocLogic Intelligent image optimisation system automatically sets dpi of document or photos according to physical size to maximise image quality and reduce file size. Two settings – high and low detail. Scan speeds (maximum at 200 dpi) 4.5 inch/sec (114.3mm/sec) grayscale and 3 in/sec (76.2mm/sec) for color. Power Requirements External power supply Input: 100~240VAC, 50-60Hz, auto-sensing +/-10%, Output: 3.42A at 19V. 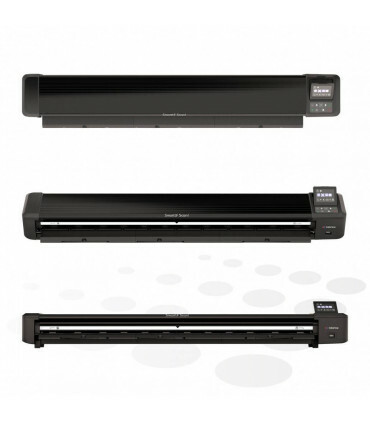 Scanner power consumption: 19.4 W (scanning), 10.2W (idle), 0.3W(sleep/ON), 0.05W (standby/soft OFF).